We're putting our CEO up for bid to benefit the Greater Vancouver Chamber of Commerce! 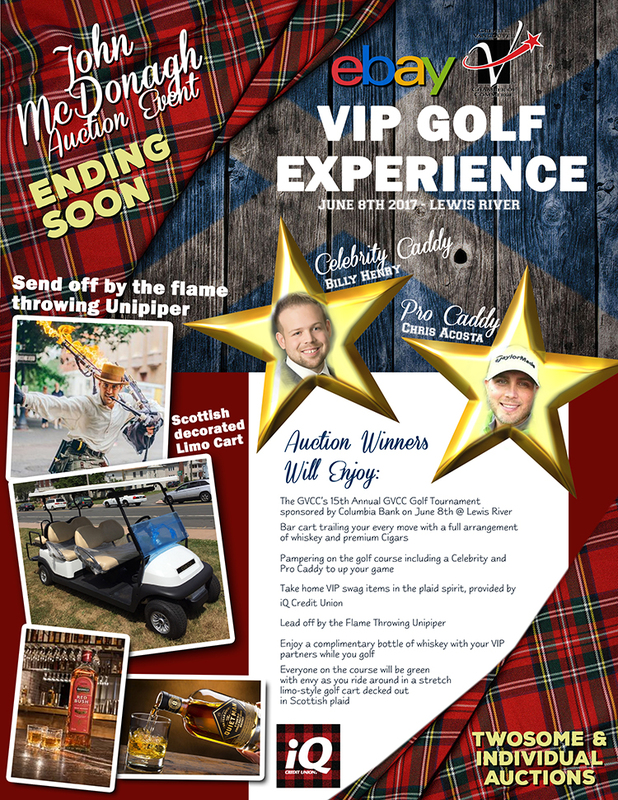 The modern game of golf is generally considered to be a Scottish invention, and this VIP experience takes you back to the roots of the game. At the 15th Annual GVCC Golf Tournament sponsored by Columbia Bank on June 8th, you'll have the chance to be pampered on the golf course like never before. One individual and a twosome will have the opportunity to join the Greater Vancouver Chamber of Commerce CEO, John McDonagh, for a VIP experience at Lewis River Golf Course. The successful bidders will spend the day in a stretch limo-style golf cart, decked out with Scottish paraphernalia. You will have caddies attending to your every need, with an exclusive bar trailing your cart and a full arrangement of whiskey and cigars to enjoy during the day, plus lots of plaid swag sponsored by iQ Credit Union. We'll kick the day off in style with The Unipiper - a unicycle-riding, flaming bagpipe player - escorting the VIP cart to their starting hole. This will be an experience unlike anything you've seen at another golf tournament. 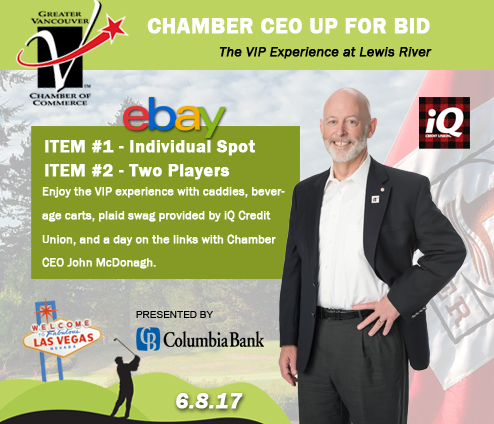 Bid high and bid often for your chance to win a VIP experience with the Chamber CEO on the links! We won't guarantee that golfing with John will win you the tournament, but "beggars cannae be choosers"! Kilts are encouraged, but not included.